Join a guided eco tour of beautiful Lady Bird Lake. The lake is home to some of the best views of Austin's beauty and wildlife. This is the most peaceful tour offered in Austin. You will launch from Joe's Crab Shack. Here your guide will navigate you through this beautiful area of amazing animals and wildlife. Enormous snapper turtles and plentiful birds will be seen on this small-group tour. No matter if it’s your 1st time in a kayak or your 101st, your experienced guides provide expert instruction and interpretation, and the best quality in kayaks and equipment are provided. This tour has a maximum of 12 guests and has a duration of 2 hours. This tour is a total of two hours. Please arrive at the departure point 30 minutes before scheduled departure. Here, your guide will navigate you through this beautiful area of Austin with amazing skyscrapers and share some knowledge on the history of Austin's noticeable landmarks. 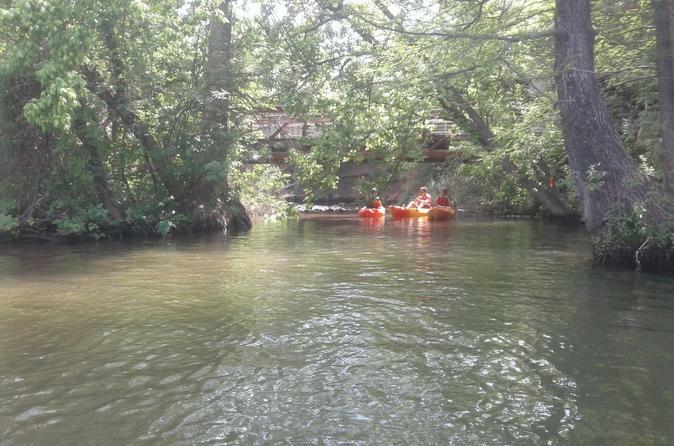 The serenity tour is a nature-inspired tour that explores the beautiful banks and waters east of Congress.